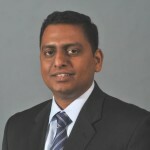 Srinivas is the President and Chief Executive Officer of CBB. He is responsible for managing the overall operations of CBB and implementing strategies for continued client satisfaction. On the technical front, Srinivas leads CBB’s freeway operations and multi-modal transportation modeling disciplines and manages transportation planning projects. 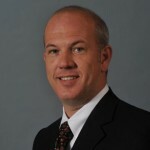 He has developed expertise in providing practical transportation solutions utilizing traditional analysis techniques and robust transportation simulation and demand models. He has played a vital role in the development of modeling frameworks to provide large-scale freeway corridor models. He has been involved in the development of freeway and arterial corridor planning efforts, interstate access justification reports, long-range transportation plans, parking studies and master-plans, design studies, and traffic impact studies. Srinivas has been very successful in assisting transportation decision makers, including elected officials and public agency leadership, during the transportation project decision making process. Srinivas received his Master of Science in Civil Engineering from the University of Missouri–Columbia and his Bachelor of Technology in Civil Engineering from the Indian Institute of Technology Madras. He is a registered Professional Engineer in Missouri and Illinois and is also certified nationally as a Professional Traffic Operations Engineer (PTOE) and Professional Transportation Planner (PTP). Shawn is the Vice President and Chief Operations Officer of CBB. In this capacity he leads CBB’s day-to-day project delivery and business development efforts. Shawn’s technical strengths are transportation planning, modeling, and freeway operations. 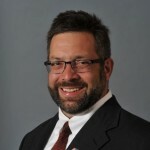 He has worked in virtually every stage of project development including comprehensive planning, corridor/feasibility studies, public engagement, grant writing, environmental (NEPA) investigations, Access Justification Reports (AJR), Value Engineering (VE), construction (PS&E) documents, Design Build, and Public Private Partnerships (P3). He has been a part of several innovative projects such as the New I-64 Reconstruction Project in St. Louis, Missouri, which won the 2010 American Association of State Highway and Transportation Officials (AASHTO) Best Transportation Project award and the reconstruction of the I-270/Dorsett Road interchange as the St. Louis region’s first Diverging Diamond Interchange (DDI). An outgrowth of those efforts was the development of a traffic model that has grown to cover much of the St. Louis regional freeway system. Shawn received his Bachelor of Science in Environmental Engineering from the United States Military Academy at West Point and his Master of Science in Civil Engineering from the University of Wisconsin at Madison. He is a registered Professional Engineer in Missouri, Illinois, Minnesota, Wisconsin, and North Carolina and is certified nationally as a Professional Traffic Operations Engineer (PTOE) and Professional Transportation Planner (PTP). Shawn is heavily involved in professional organizations that support the transportation engineering industry. As an adjunct professor at Washington University in St. Louis, he has instructed more than 250 students in traffic engineering and transportation planning. Shawn serves on professional boards/committees for the Institute of Transportation Engineers (ITE) and Transportation Research Board (TRB). Previous appointments include President of the Transportation Engineering Association of Metropolitan St. Louis (TEAM StL) and Missouri Valley Section of ITE (MOVITE). Shawn is currently serving on ITE’s International Board of Direction and TRB’s Military Transportation Committee. Shawn’s work in the St. Louis region has been featured in St. Louis Magazine and the Riverfront Times. Lee joined CBB in 1994 and has accumulated over 20 years of experience in traffic engineering and transportation planning. He now leads CBB’s Traffic Engineering practice and is responsible for CBB’s technical capabilities, quality of deliverables and business development efforts related to those projects. Lee has completed hundreds of traffic impact studies, operational improvement studies, safety studies, comprehensive master plans, and parking studies both large and small in scale. He has addressed residential, commercial, industrial, healthcare, and other institutional land use proposals, expansions and re-developments for both public and private clients. Lee is the firm’s expert on projects that address the special needs of large trucks on industrial sites and truck terminals. He has also been involved in corridor studies (roadway realignment, relocation and bypass studies) and roadway/intersection geometric improvement projects. Lee acts as a third-party traffic engineer for a variety of municipalities and often works closely with review agency officials to find reasonable and financially feasible solutions to complex access issues. Lee holds a Bachelor of Science in Civil Engineering degree from Christian Brothers University in Memphis and a Master of Science in Civil Engineering degree with an emphasis in Transportation from the University of Tennessee. He is a licensed Professional Engineer (PE) in Missouri and Illinois and is also certified nationally as a Professional Traffic Operations Engineer (PTOE). Lee has served previously as the President of the local ITE chapter (TEAM St. Louis) and currently serves on the Missouri Board for APWA. 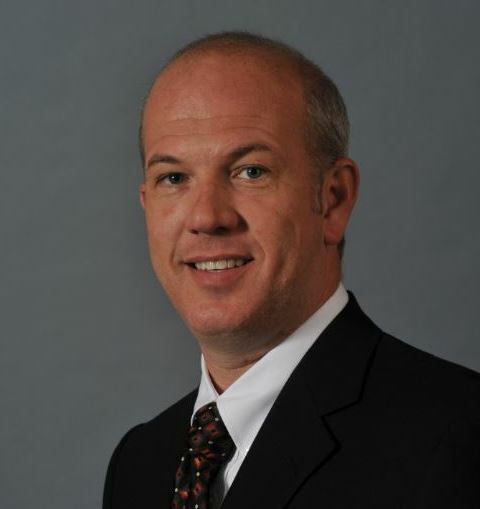 With more than 20 years of experience in the civil engineering field, Chris serves as CBB’s design principal. In this role Chris is responsible for CBB’s technical design capabilities as well as CBB’s design-related project delivery and business development efforts. Acting as senior project manager, Chris has completed many projects of regional significance. Chris’s areas of expertise include conceptual design, preliminary layouts, roadway design, overhead signage, hydraulics and hydrology, and floodplain management. Prior to joining CBB, Chris served for five years as the Airport Engineer at Spirit of St. Louis Airport and, prior to that, was a traffic engineer for the St. Louis County Department of Highways and Traffic. 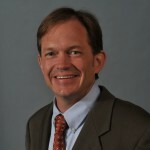 Chris received his Bachelor of Science in Engineering from Southern Illinois University–Edwardsville and his Master of Science in Civil Engineering from the University of Missouri–Rolla. He is a registered Professional Engineer in Missouri, Illinois, Kansas, Iowa, South Dakota, and Arkansas and is also certified nationally as a Professional Traffic Operations Engineer (PTOE).